How to determine what draw length your bow is set to. When you purchase a bow the draw length on the bow is measured to AMO Standard. With bow drawn. 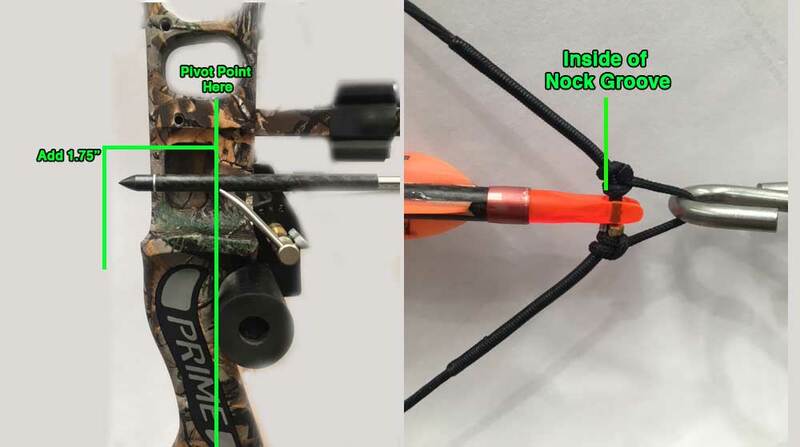 From inside of the nock groove to the pivot point of the bow, then add 1.75"
So for a 28" draw the bow will measure from the inside of the nock groove to the pivot point 26.25". Add 1.75" to get 28"